Everyone differs, but in general you can expect that when you begin to see your disease in a different light, your recovery is on the way. The time may range from immediate to years. This is impossible to predict. It depends on who you are and the nature of your disease. The m3health Program is an exploration. You will be discovering the answers to that question yourself, or moving beyond needing to know. Why should I pay m3health to explore these issues? Developing and managing the m3health website is a full time professional undertaking, involving many people. 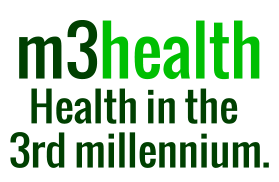 m3health receives no advertising revenue of any kind as it believes it must remain independent to best serve the health interests of its participants. This differentiates it from almost every other health site. How do I know when my Inquiry is completed? Our years of clinical experience have shown us that people become fascinated with looking at their lives through new eyes and repeatedly come back to the principles of m3health. As for the resolution of the medical symptoms which brought you to the m3health Program, we’ve noticed that often a third party is required to inform you that the disease has gone, as your focus has moved on from the physical symptoms of the disease. What conditions are responsive to the m3health Program? The m3health Progam may be used with any condition. It is not the object of m3health to mention particular diseases or symptoms because any manifestation of an individual’s life journey and the symptoms from it, whatever label they are given, are available to be explored. Longstanding complaints of a serious or life threatening nature are more difficult to access, but on the other hand, there’s often more motivation to explore them. Should I give up my normal medical treatment while undertaking the m3health Program? The m3health Program is an adjunct to medical therapy, and the subscriber is responsible for his ongoing medical treatment whilst in the process of the Enquiry. When the medical condition subsides or disappears then the subscriber should discuss this development with his usual medical attendant. Can the m3health Program be used to prevent illness? The m3health Program is intended to be used for the recovery from illness and the prevention of its recurrence along with the maintenance of general good health. Will my discomfort increase while I undertake the m3health Program? One reason we need assistance in recoverying from illness is that we’re afraid to look at matters which might be playing a part in our disease. When we take the risk of looking at our illness differently we may experience a range of feelings such as anger, sadness, fear and joy, as well as some of the bodily discomforts which go with them. The increase in discomfort is temporary. The longer term effects are improved health, less physical discomfort, and peace of mind.